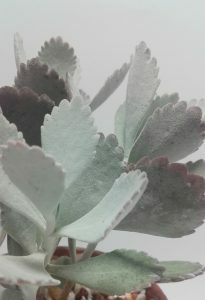 Distinctive features: Native to Madagascar, this plant has distinctive white to grey powdery leaves and delicate candy pink flowers in the spring. 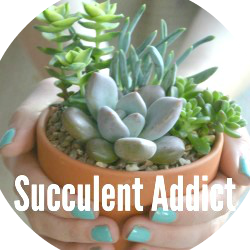 Things to watch out for: The trickiest thing about keeping this plant is that it really is a sun worshiper; it really needs strong direct sunlight, which can be a challenge during a dull UK winter. It stretches easily if its conditions are too dark and the leaves start to look a bit limp and sorry for themselves! 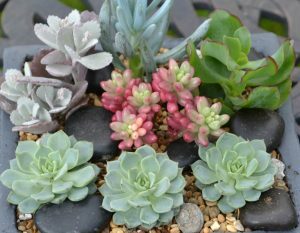 Therefore it is best to keep it in a south facing window during the autmn, winter and early spring and to keep the temperatures in the double figures if possible. This beauty doesn’t do cold and gloomy darling! 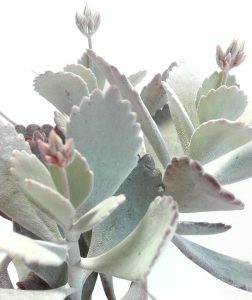 Want to give the Kalanchoe pumila a shout? Please give this post a social media shout out!